In an ideal world, you could pay off your mortgage early. Luckily, the ideal world can be a reality for savvy homeowners. If you choose to pay more than your required monthly mortgage payment, not only will you decrease the time it takes to pay off your mortgage, but you'll also reduce your interest costs. We have your attention now, don't we? Check out our Prepayment Savings Calculator to learn more. 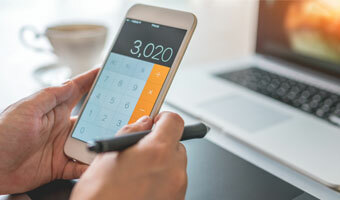 You can enter the additional amount you'd like to pay on your mortgage each month, and the calculator will show you how much sooner you could pay off your mortgage. Also, you can select an amortization table to see how much less you'll pay in interest over the life of your loan and what your new loan balance will be at the end of each year.